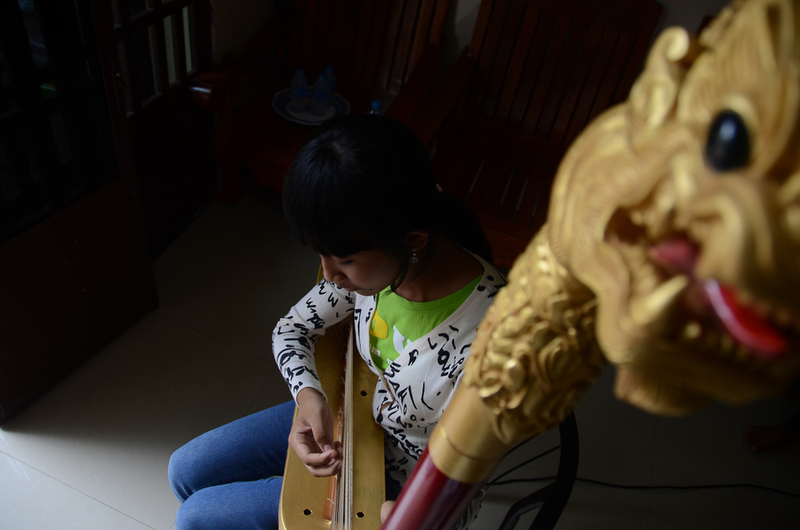 In Cambodia, reviving a piece of the country's lost musical heritage: an ancient harp that had disappeared for centuries. A radio story for PRI's The World. A musician plays a trumpet at a rehearsal in Phnom Penh. Him Sophy plays the piano at his studio in Phnom Penh. Him Sophy at his studio in Phnom Penh. 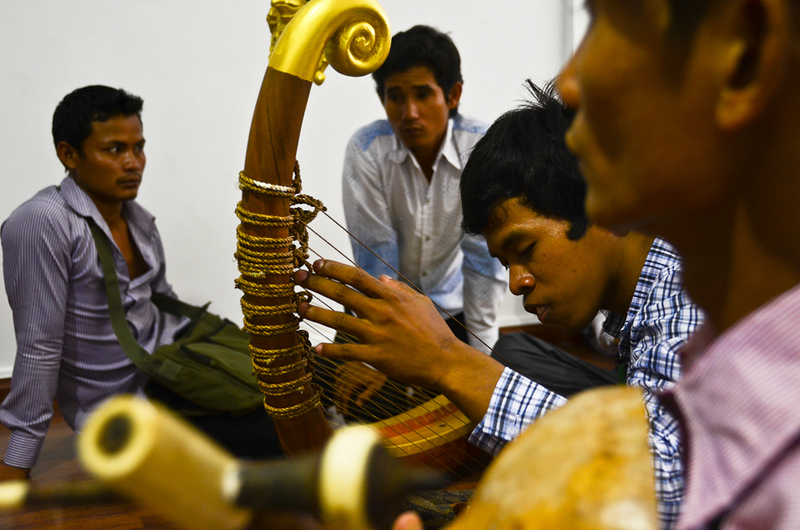 Keo Sonan Kavei plays the roneat, a type of Cambodian xylophone, at his instrument workshop near Phnom Penh.